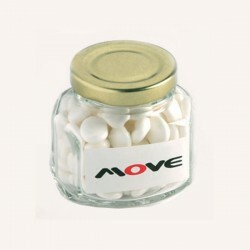 Branding mints for corporate events will impress everyone. 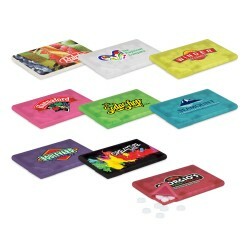 Tradeshow and sales seminar attendees would certainly welcome these custom printed mint cards with open arms. 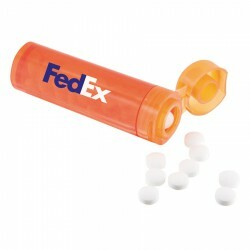 They come with sugar free mints and their slim card size spells convenience. 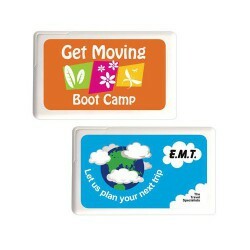 These mint cards are also personalised to display your brand name or logo, helping you boost brand image. 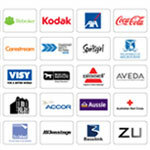 Hand them out as business giveaways or souvenirs and your brand will be the talk of the event. Coloured Noodle Box Filled with Mentos X26. Paint Tin Filled with Mints 250G. Frosted Pp Noodle Box Filled Mentos X 26. 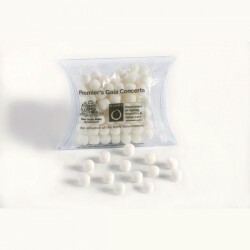 Frosted Pp Noodle Box Filled with Mints 100G. White Cardboard Noodle Box with Mentos X 26. 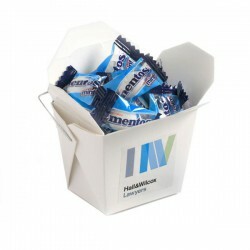 White Cardboard Noodle Box with Mints or Musks 100G. 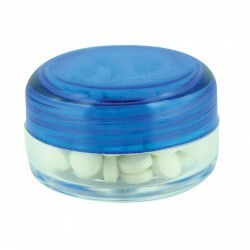 Pill Jar Filled with Mints 120G. 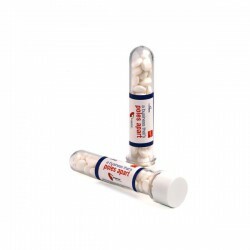 Test Tube Filled with Mints 40G. 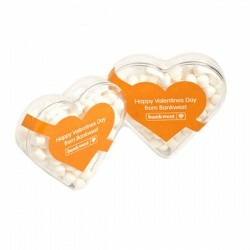 Acrylic Heart Filled with Mints 50G. Acrylic Dollar Filled with Mints 40G. 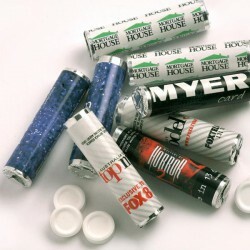 Mints or Musks in Pull Can 275G. 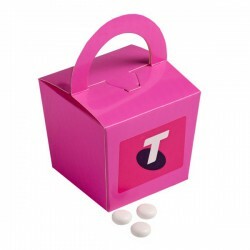 Coloured Noodle Box Filled with Mints 100G. 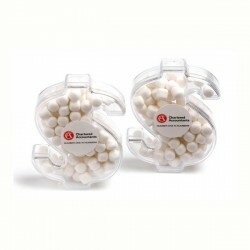 Custom Shaped Bag Filled with 50G Mints. Custom Shaped Bag Filled with 25G Mints. 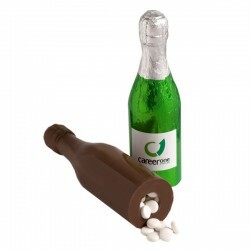 Chocolate Champagne Bottle 100G Filled with 80G Mints. 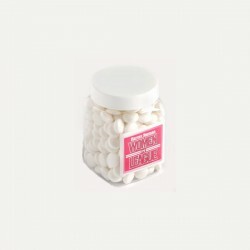 Champagne Bottle Filled with Mints 220G X 2 Stickers (Chewy Mints). Champagne Bottle Filled with Mints 220G X 2 Stickers (Normal Mints). Champagne Bottle Filled with Mints 220G X 1 Sticker (Normal Mints). Individual Mint in One Colour Printed Bag. 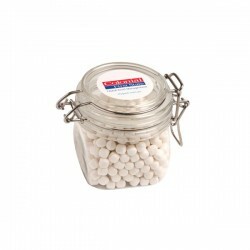 Small Round Acrylic Window Tin Fillled with Mints or Musks 170G. 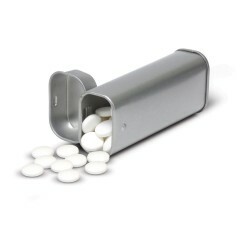 Rectangle Hinge Tin Fillled with Mints or Musks 65G. 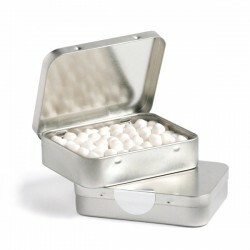 Click Clack Tin Filled with Mini Mints or Musks 70G. 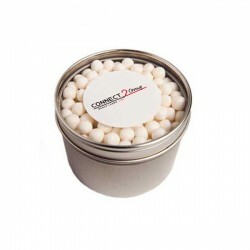 Candle Tin Filled with Mints or Musks 50G. 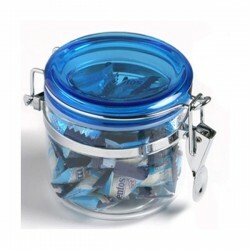 Plastic Jar Filled with Mints 170G. 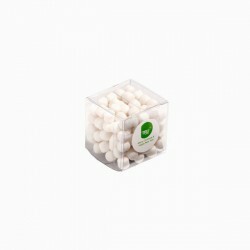 Mints in Canister 300G (Chewy Mints). 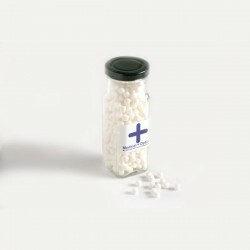 Mints in Canister 300G (Normal Mints). 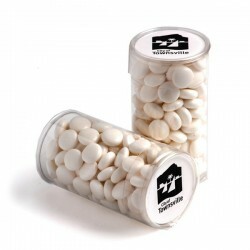 Mints in Canister 200G (Chewy Mints). 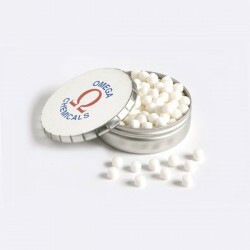 Mints in Canister 200G (Normal Mints). 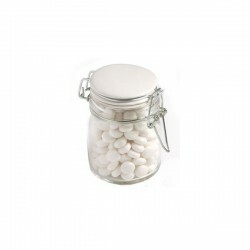 Mints in Plastic Jar 180G. 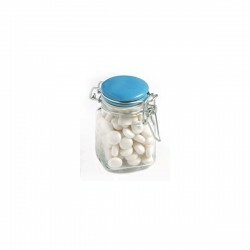 Mints in Glass Clip Lock Jar 80G. 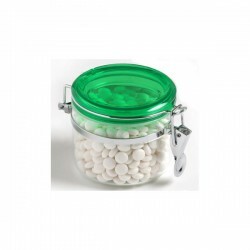 Mints in Glass Clip Lock Jar 160G. 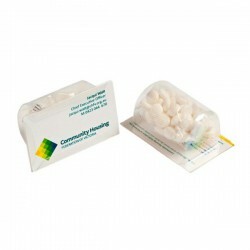 PVC Pillow Packs filled with 60 grams of Dynamints packed in cello bag then Pillow Pack. Statutory information sheet included. Finished weight - 72 grams. 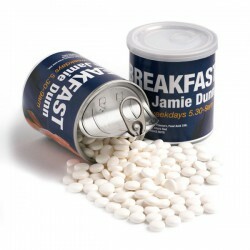 Includes 60 gram cello bag of Dynamints packed in Silver Rectangular Tin. Statutory information sheet included. Finished weight - 100 grams. 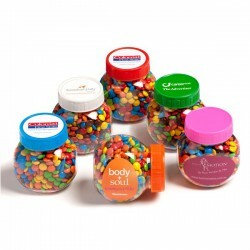 4 x 60 gram clear cello bags of Australian Made polished peppermints packed in 12cm canister. 2 Piece Stainless Steel Canisters with Clear Acrylic lid. Statutory information sheet included. Finished weight = 520 grams. 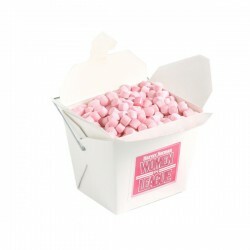 Approx 100 mints (35 grams) in poly bag packed in hinged lid tin. Statutory information sheet & suppliers details on base of tin. Statutory information sheet included. Finished weight - 35 grams. 60 gram cello bags of polished peppermints. 60 gram cello bags of peppermints. Square mint cards with approx 30 sugar free breath mints. Approx 12 grams each. Credit Card size mint dispenser with snap lock opening. Contains approximately 50 sugar free mints. Statutory information sheet included. Finished weight - 16 grams. 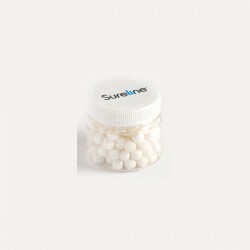 White cube with snap lock on top with approximately 78 sugar free breath mints. Approx 22 grams. 4 print positions. 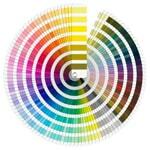 Ideal for delivering 4 different messages. Base has black statutory information printed on Clear label. Includes 60 gram cello bag of Peppermints packed in Silver Rectangular Tin. All peppermints are made in Australia. Finished weight - 100 grams. 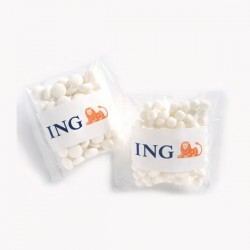 PVC Pillow Packs filled with mini candy tabs (60gms) packed in cello bag then Pillow Pack. Statutory information sheet included. Finished weight - 72 grams. 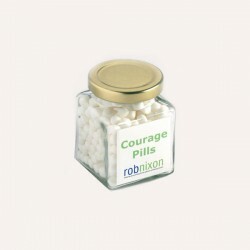 15 grams of peppermint flavoured sugar free mints in sealed compact plastic jar. 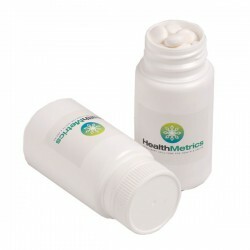 Handy pocket size tube with flip top lid, with 8 grams of mints. 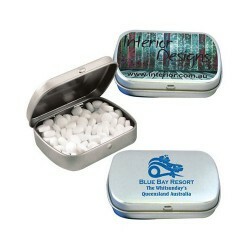 Contoured rectangular tin with a hinged lid filled with 14 grams of peppermints. 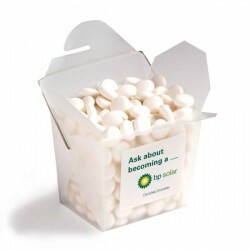 14 grams of drop shaped mints in a convenient pocket size dispenser. Oval shaped mint card that contains 7 grams of sugar free mints. (Approximately 50pcs). A unique plastic card that holds 7 grams of sugar free mints. 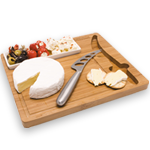 (Approximately 50pcs). 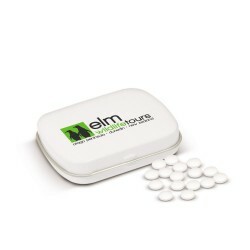 House shaped mint card that contains 7 grams of sugar free mints. 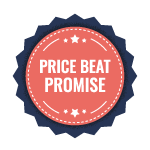 (Approximately 50pcs). 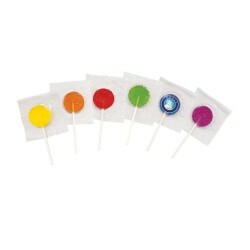 Delicious 9 gram New Zealand made lollipops. Screw top jar filled with 14 grams of sugar free peppermints. 8 grams of sugar-free peppermints in a handy tube.